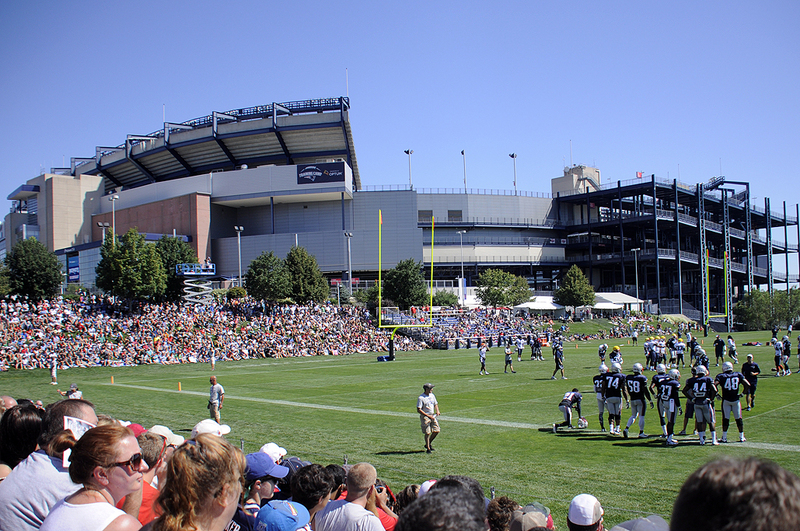 The RainyDayMagazine crew went out to Gillette Stadium for the Patriots Training Camp recently. We like going because we can get pretty close to the action. This visit was much more pleasant temperature-wise than when we were there a couple of years ago, . Bringing water along in the fancy-pants insulated water bottle (suggested by long-time RDM reader Angelika) definitely helped. Both Tom Brady and Jimmy Garoppolo were out there running drills. We managed to get a ton of cool shots…stuff that we would never be able to get were we sitting in the stadium watching a game! The practice field next to the main stadium, and on this day at least 10,000 fans sat in the stands. Lots of folks with Pats jersey and gear. Yeah…we can get right in the middle of the plays with a 300mm zoom! 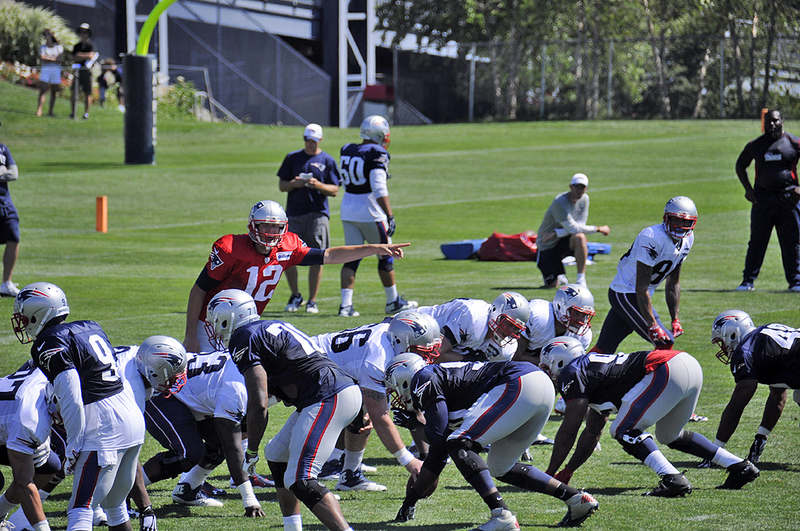 Even during practice, Brady is amazingly crisp and sharp. There is no messing around. 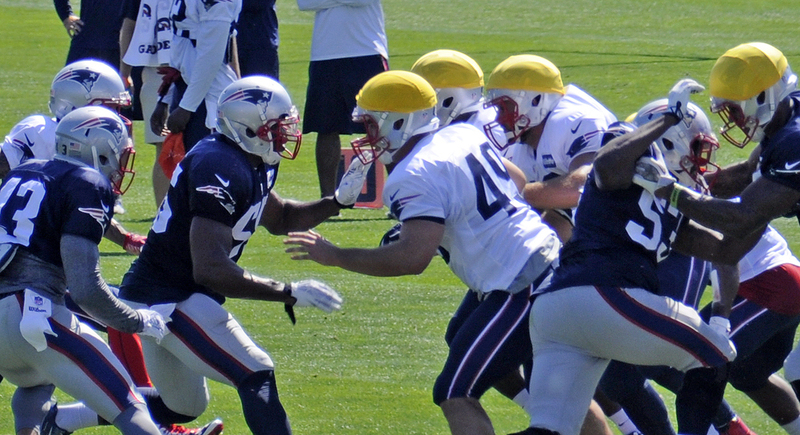 Got a shot of Brady to Hoomanawanui (#47) just before the catch. Definitely close enough to see the seam on the football during a Brady handoff! 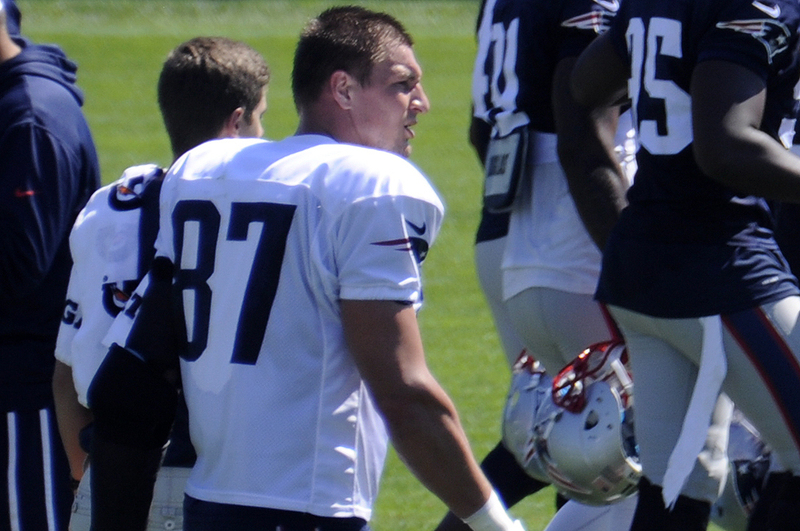 The Gronk was out there, healthy and ready to go. He is just BIG, even when standing around other big guys. 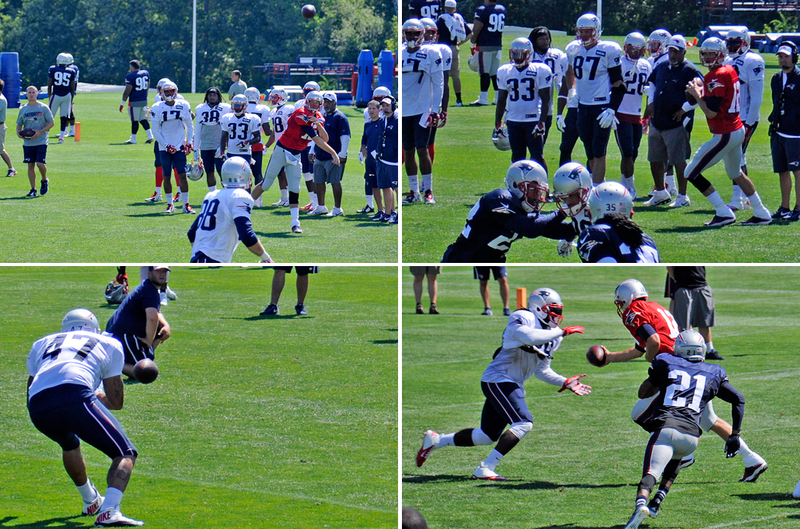 Also interesting was we got to see Garoppolo (#10) running the same plays as ran by Brady. While #10 was not as confident as Brady, he was still pretty on point. Now that the pre-season games and the silliness with Goodell are over and done with, we are looking forward to seeing the Pats play in tonight’s opener against the Steelers. Oh…about the fly-over with the banner from the Jets fans? Don’t know how it is in New York, but here in New England, we get to hang our banners. Looking forward to hanging that SBW#5* banner soon!!! Go Pats!! !